In most cases, emergencies happen when you least expect them. Do not hesitate to contact us if your kitchen is clogged or your pipe is frozen. We at Pompa pluming offer emergency plumbing services in the North Hollywood area 24 hours a day, 7 days a week. We have a team of expert plumbers who are always ready to come to your home to unclog your kitchen or fix your frozen pipe. What you should do in a plumbing emergency? 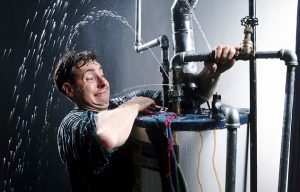 If you are experiencing any sort of Plumbing emergency, make sure not to repair it by yourself. However, to reduce the risk of damage we suggest several steps to perform, before our plumbers arrives at your home. It is necessary to find and shutoff the water valve which is feeding into the problem area. Also do not forget to shutdown the gas or electric lines which are affected. If a pipe is broken, do not forget to shut off the main valve for the whole home. At this instant, If you have any questions about any of the above measures, or you are experiencing a clogged kitchen or a frozen pipe in your home feel free to give us a call at (747)200-4222. Our plumbers will come to your home as soon as possible to attend your pluming emergency.